← Some more horses, for some reason they keep appearing! 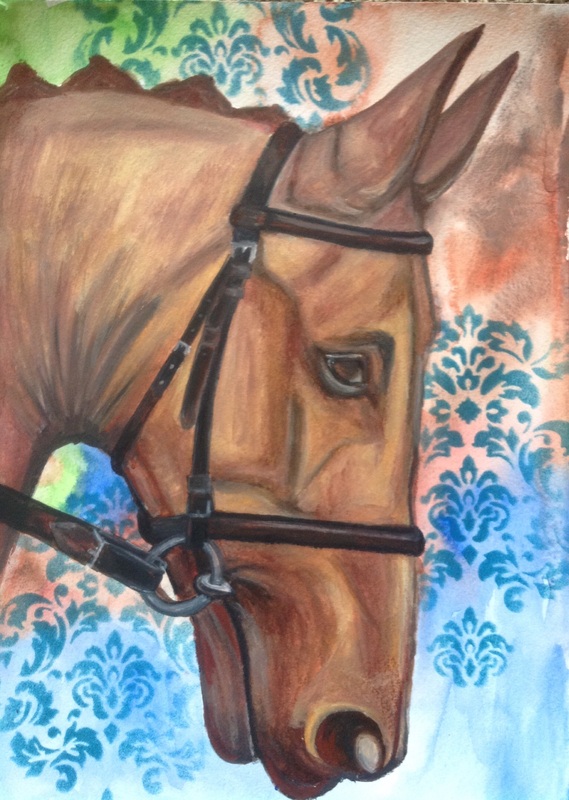 I had lots of fun with this horse, he was going to be only painted in red blue and green, but as always the brown appeared, and he resorted back to my usual style, it is hard to paint in a way you do not naturally created, so I keep trying. I loved doing the background, using stencils, which I think makes it a little more interesting, I used watercolour, neocolor and tim holtz distress ink, the stencil was an efco damask. This entry was posted in art, caran dache neocolor, Damask, distress ink, efco, Horse, stencil, tim holtz, watercolour and tagged art, caran dache neocolor, damask, distress ink, efco, Horse, mask/ stencil, painting, Painting, tim holtz, watercolour. Bookmark the permalink.